The enchanted fairy story of “The Princess & the Frog”. 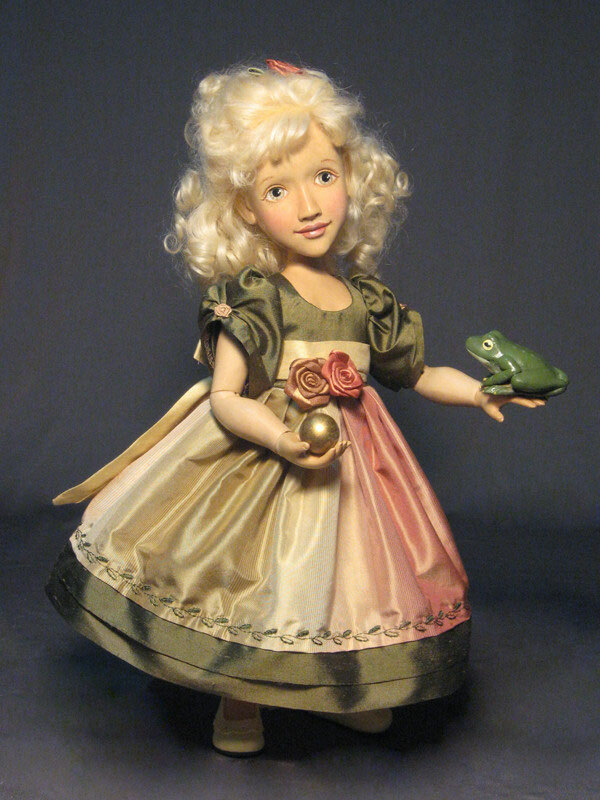 12″ tall carved from solid wood, this little princess has a beautiful hand painted face, mohair wig and is dressed in a lovely gown made from dupionni silk with an embroidered leaf design along the bottom edge of her dress. 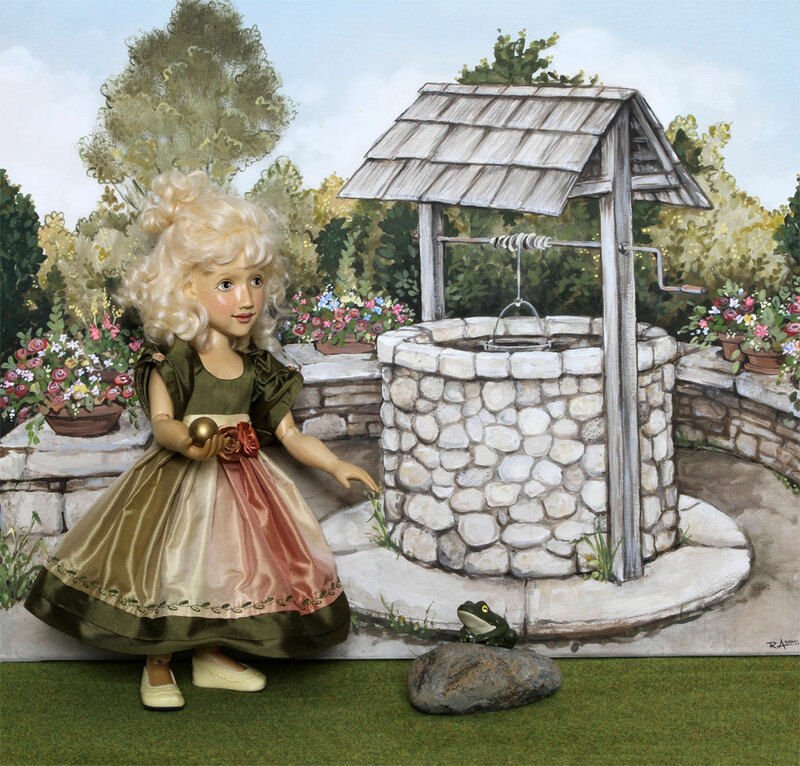 She comes with the golden ball which she will toss in the well and of course the frog (really the prince who has been turned into a frog by an evil witch). 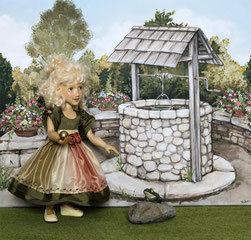 the backdrop depicts the garden and well. Click the image to below to enlarge the detail. We only have one Princess and the Frog available at the moment. Ships in one day.